WIT student, Sam Bennett, has won his first professional cycling title at Pro-Continental level with his new team NetApp-Endura. Bennett won the 29th Clásica de Almería in a decisive sprint to the finish line on Sunday, 2nd March. Sam is currently taking a break from his BA (Hons) in Exercise & Health Studies course to pursue his professional cycling career. The win, hopefully the first of many, was bravely fought for by the 23-year old Carrick-on-Suir native and his teammates. The lead group of riders, which included Sam and three other NetApp-Endura riders, built up a one-minute lead in the 178km race, after separating from the main peloton 20km from the finish line. Thanks to support from his teammates, Sam was able to conserve valuable energy for the final sprint and won in convincing style. "The guys got me in perfectly with about 600m to go. I was well positioned in the last corner. I had to go at 250m because the pace dropped. I came around everyone and took the inside line. At 100m to go my legs started to buckle and I thought I wasn't going to make it. But luckily I did!” Sam said after the win. Sam has had a great start to the season with his new team, achieving five top 10 places in his first two races. 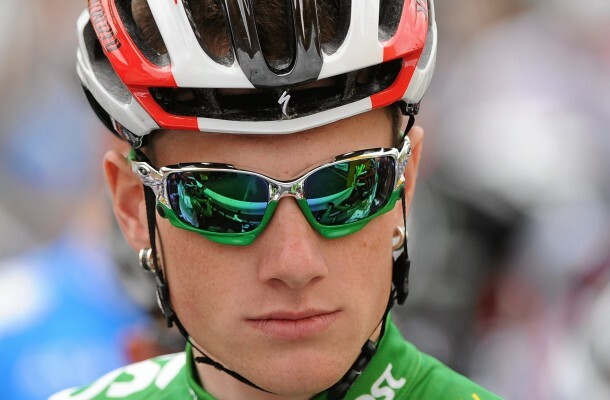 Prior to signing with NetApp-Endura, Sam had been with the An Post Séan Kelly Continental team for the previous three seasons.